WEYMOUTH, Mass. 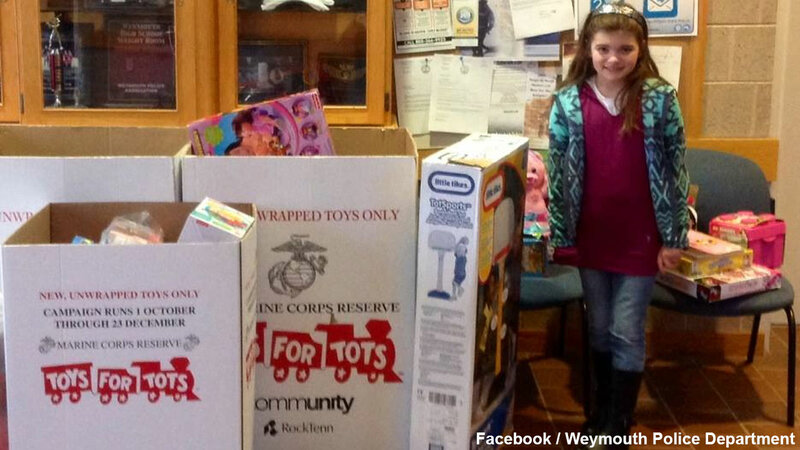 -- A 9-year-old Massachusetts girl donated all of her birthday gifts to a good cause. Police in Weymouth posted photos of Sivana Athanas on the department's Facebook page along with a great story. The third-grader gave all of the gifts she recently received for her birthday to children in need. According to police, she donated everything to Toys for Tots - the program that collects holiday gifts for children whose families can't afford them.